The Jazz, Tanjung Pinang is located at Tanjung Tokong, Penang just opposite the Tesco Tanjung Pinang. The Jazz, Tanjung Pinang comprising two towers, a 30-storey Jazz Hotel with 226 rooms and a 45-storey Jazz Residence serviced suites. The Jazz Residence serviced suites has a built-up area approximately from 1,300 sq.ft. with 3 bedrooms and 2 bathrooms. This is a small time developer trying to make big... with fishy marketing strategy. My advice is stay out of this project. Please share if you have any insight informations. Family members suing each other for control over properties and assets. Hi All, pls be informed that the project belong to the well know rice mill family from BM by the name Mr. Teo family in Alma. Very rich background. how rich? how you know they are rich? Get me best offer for sale or rent. Few units For Sale !!! - Selling Price: RM 1 Mil ONLY!! I have serious tenant wish to rent Jazz suite, Please call me for further discussion. Fully Furnished or Unfurnished also can. Thanks you. Hi Dear Potential Customer , Marcus here , Property Agent From E6 Group - TRR. Our hand got super class A listing willing to let go . 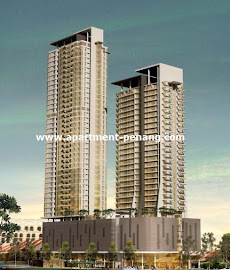 Please direct call me 012-257 7296 for viewing arrangement . High Floor , 1365sf , 982,900 net price come with 4 car park. High Floor , 1465sf , 1.05m net price come with 5 car park. High Floor , 1965sf , 1.41m net price come with 6 car park. High Floor , 1945sf , 1.4m net price come with 7 car park. High Floor , 4220sf , 3.03m net price come with 8 car park. Only for potential customer , we not open for cobroke . thank you for your cooperation. Welcome contact 012-257 7296 Marcus Tan For Viewing Arrangement .